A dream in green - a dream for golfers. Where Golf meets Wellness. The Terme Euganee area offers well-being, history, culture and even outdoor sports. 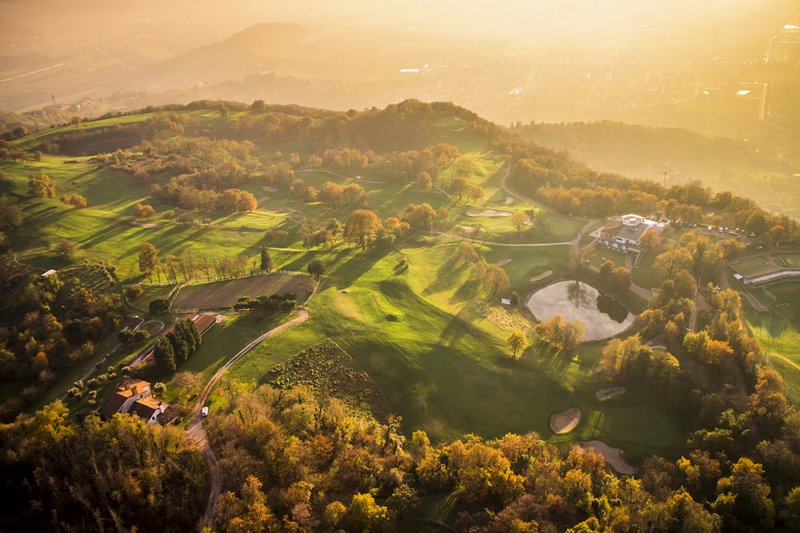 Montegrotto Terme, at the foot of the Euganean Hills, is a true golf paradise and a favourite destination for many golf lovers. And they are all just a few minutes’ drive from the hotel. 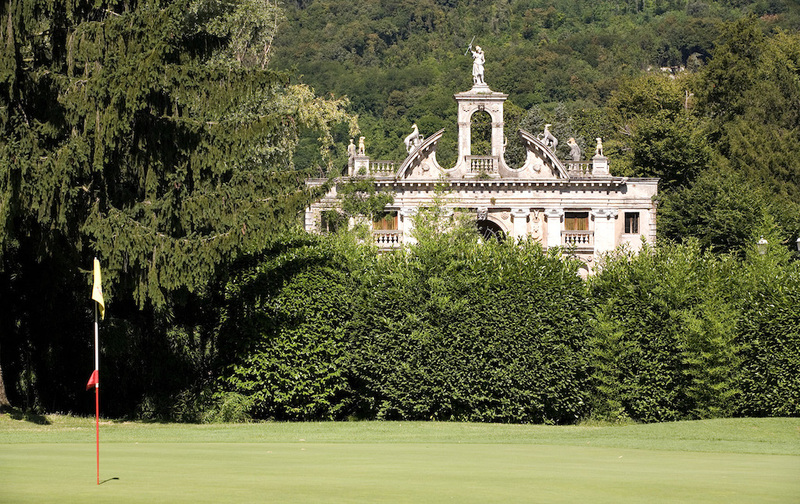 Seamlessly integrating with the landscape of the Euganean hills, these golf courses in the province of Padua are well designed and able to meet the needs of both beginners and experts, with courses that test technical skills, concentration and strategies developed by enthusiasts of this sport. 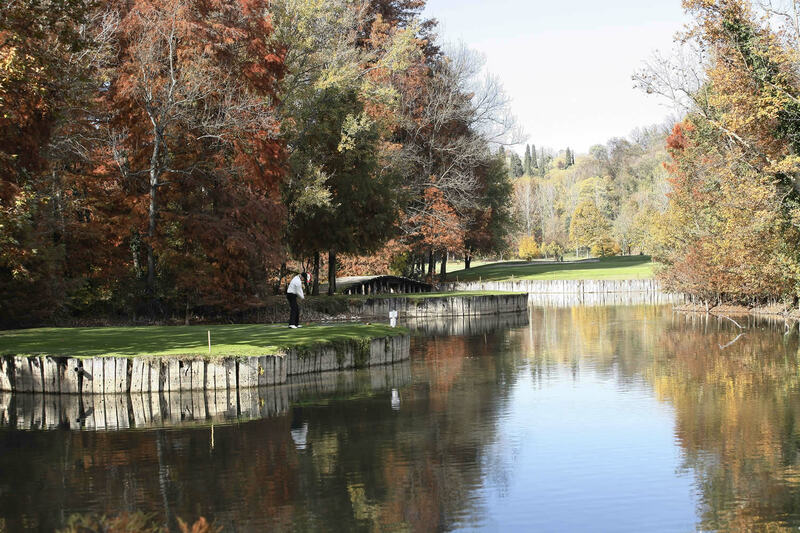 The Hotel Esplanade Tergesteo has an agreement with these three golf courses in the area, and therefore our guests can book and pay Green Fees directly at the hotel at special rates; we have also prepared 3-night or 7- package holidays. For those wishing to approach this sport in a simple and direct manner, the Abano Golf driving range is just 5 km from the hotel. 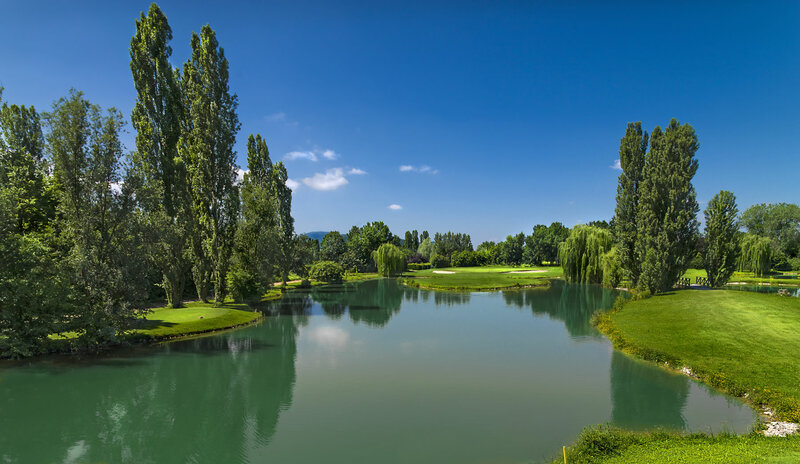 Golf Club dei Colli Berici – New Partner!